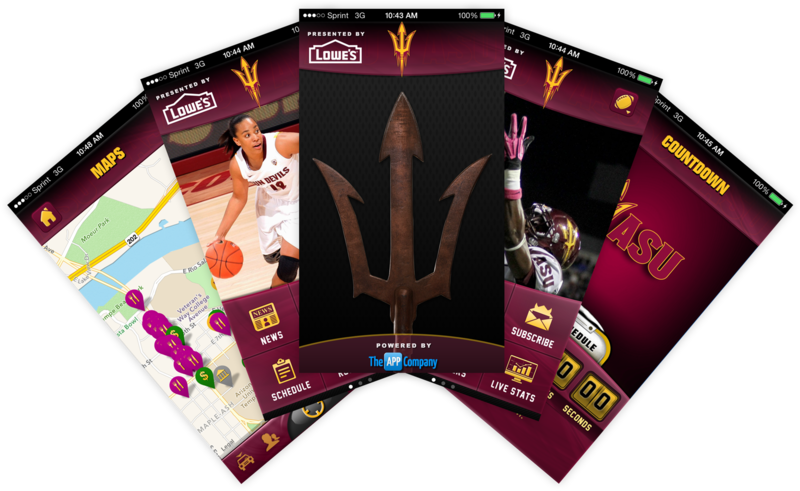 Arizona State’s Gameday App was developed using our College Athletics Gameday Platform. Arizona State Gameday is the official Gameday App of Arizona State University’s Athletic Department. If you are going to an Arizona State sporting event, then this is a must have App, and it’s free! You can check your seat location and see the view before you get there using our venue maps, save your parking location so you can easily find your car after the game, find official ASU events around the campus, Sun Devils Stadium and Wells Fargo Arena that you were invited to, get Live Stats during the game, stay informed of crucial ASU Sun Devils information with Blog and Twitter feeds directly from ASU Athletics, and much, much, more! The Gameday Technology Platform includes a comprehensive web-based Content Management System (CMS). The CMS has been developed in parallel with the Mobile App Platform Module. All aspects of the App can be controlled and managed directly from the web. Location coordinates, schedule data, video, images, roster data and scores can all be controlled via the CMS. You can check your seat location and see the view before you get to the game, save your parking location so you can find it after the game, find official events around the campus and venues that you were invited to, get Live Stats during the game, stay informed of crucial team-related information with Blog and Twitter feeds directly from the athletic program, and much, much, more. Detailed Venue Seating Maps with Seat Views, Concession Stands, Restrooms, Gate Locations, and More! Area Map with Parking Lots, Official USC Events, Restaurants, and More!